Lactose breath tests are a relatively low-cost, non-invasive measure of lactose malabsorption. 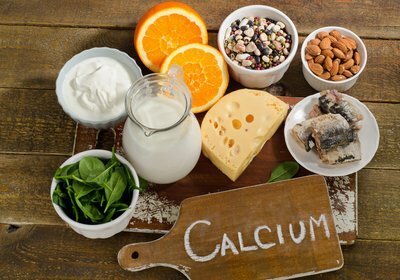 The tests are widely used in clinical practice, but without careful consideration, results may be misinterpreted, leading some people to unnecessarily restrict their lactose (and dairy) intake. Lactose breath tests measure the amount of hydrogen (or methane) in the breath after a specific dose of lactose is consumed. The tests rely on the premise that malabsorbed lactose passes into the large intestine undigested, then undergoes fermentation by gut bacteria, producing hydrogen and/or methane gas. This gas is absorbed from the large intestine, into the bloodstream, and carried to the lungs where it is exhaled and collected in the breath. If a substantial rise in breath hydrogen (or methane) is detected, lactose malabsorption is diagnosed. While this all sounds fairly straight forward, results from these tests should be carefully interpreted. It is first important to consider that lactose breath tests diagnose lactose malabsorption, not lactose intolerance. These conditions are distinct: lactose malabsorption refers only to the spill over of lactose from the small intestine, into the large intestine, whereas lactose intolerance refers to lactose malabsorption that results in unpleasant symptoms, such as abdominal pain, bloating, flatulence and diarrhoea. Despite this distinction, it is not hard to see how the two conditions may be confused, and why some people diagnosed with lactose malabsorption may assume that they are lactose intolerant and in need of a life-long, lactose restricted diet. But distinguishing between lactose malabsorption and lactose intolerance is important, because dietary restriction of lactose is only necessary in the presence of lactose intolerance. 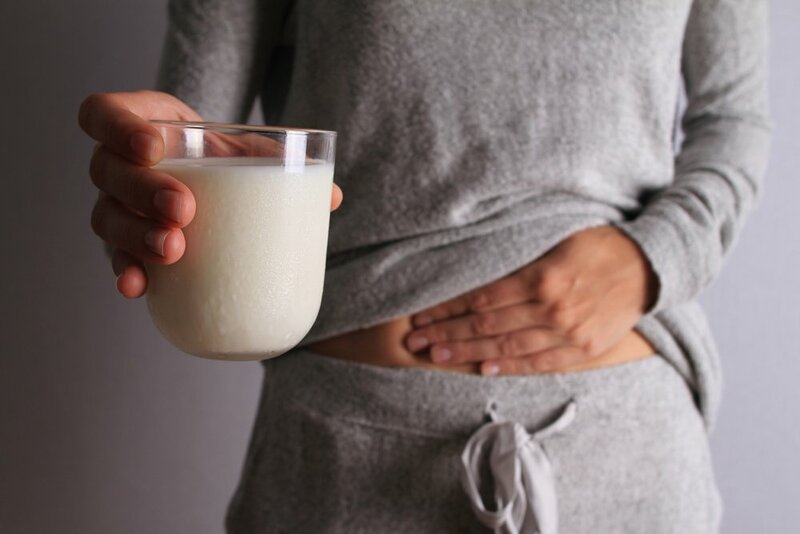 Indeed, one study showed that only around 40% of people diagnosed with lactose malabsorption (based on a positive breath hydrogen response to a 25g load of lactose) actually experienced gastrointestinal symptoms upon exposure to the test sugar(1). 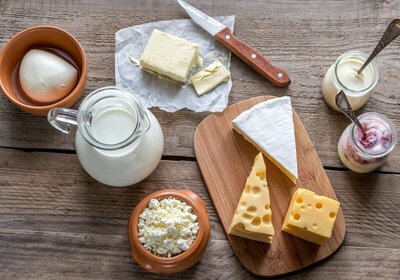 This suggests that lactose intolerance is absent in the majority of lactose malabsorbers and that a lactose restricted diet is usually unnecessary. Another consideration, is that lactose malabsorption is often transient, with lactose absorption improving as the epithelium heals(2). Therefore, a life-long, lactose restricted diet is usually unnecessary, even in lactose intolerant individuals. Instead, lactose tolerance should be re-assessed over time, using a test-to-tolerance approach, whereby the patient is gradually exposed to small, but increasing doses of lactose, to determine their threshold level of tolerance. Lactose breath tests may also over- or under-diagnose lactose malabsorption. Under diagnosis (false negative results) may occur if only hydrogen is measured in the breath of people whose gut bacteria produce methane, not hydrogen. By contrast, over-diagnosis (false positive results) may occur due to the unusually large dose of lactose given in these tests, usually around 25 to 50g. This dose well exceeds what would normally be consumed in the diet. For instance, the 50g dose of lactose consumed during a lactose breath test would be equivalent to drinking 1L skim milk or eating 1 kg natural yoghurt in one sitting. 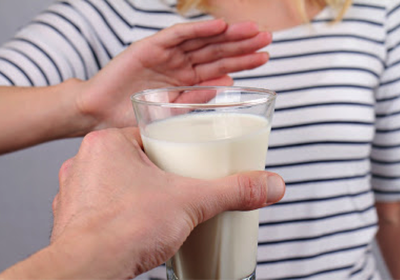 Given that an individual’s response to a lactose breath test is dose-dependent, (one study showed that 10, 20 and 40g doses of lactose led to positive breath hydrogen responses and a diagnosis of lactose malabsorption in 18, 47 and 85% of people(3)), it is not hard to see how these tests may exaggerate the number of true lactose malabsorbers. Finally, lactose breath tests are usually performed unblinded, and may provide false positive results due to the ‘nocebo response’, that is, the psychological expectation of intolerance(4). So what are the take home messages? Should lactose breath tests be abandoned all together? Should patients instead use a test-to-tolerance approach to determine their individual level of lactose sensitivity? Lactose breath tests certainly have a place in clinical practice, but as stated earlier, results should be interpreted with caution. For instance, they may be useful to rule out lactose malabsorption in people who believe they are milk or dairy intolerant, as self-reported milk intolerance is known to be a poor predictor of more objective measures of lactose malabsorption(1, 3). With this said, the test should only be considered a screening test for lactose intolerance, not a diagnostic tool. If a positive result is reached, the person should initially be placed on a lactose restricted diet, then gradually exposed to increasing doses of lactose to determine their threshold level of lactose tolerance. This test-to-tolerance approach is important, because most people who malabsorb lactose can tolerate 12-15g of lactose per day (equivalent to ~250ml of regular milk), and possibly more if lactose intake is spread out over the day(5, 6). But remember, lactose intolerance is often transient, so a life-long, lactose restricted diet is usually not indicated, and lactose tolerance should be re-assessed over time, using this same, test-to-tolerance approach. By contrast, if a negative result is reached, it is worthwhile considering whether the patient could be a hydrogen non-producer and whether methane levels were collected. Unfortunately though, methane is considered a less reliable indicator of lactose malabsorption, so even if methane was measured, a test-to-tolerance approach may be needed to confirm or deny lactose intolerance(7). 1. Vernia P, Marinaro V, Argnani F, Di Camillo M, Caprilli R. Self-reported milk intolerance in irritable bowel syndrome: what should we believe? Clinical nutrition.23(5):996-1000. 2. Vesa TH, Marteau P, Korpela R. Lactose intolerance. Journal of the American College of Nutrition. 2000;19(2 Suppl):165S-75S. 3. Yang J, Deng Y, Chu H, Cong Y, Zhao J, Pohl D, et al. Prevalence and presentation of lactose intolerance and effects on dairy product intake in healthy subjects and patients with irritable bowel syndrome. Clinical gastroenterology and hepatology : the official clinical practice journal of the American Gastroenterological Association. 2013;11(3):262-8 e1. 4. Vernia P, Di Camillo M, Foglietta T, Avallone VE, De Carolis A. Diagnosis of lactose intolerance and the "nocebo" effect: the role of negative expectations. Digestive and liver disease : official journal of the Italian Society of Gastroenterology and the Italian Association for the Study of the Liver. 2010;42(9):616-9. 5. Shaukat A, Levitt MD, Taylor BC, MacDonald R, Shamliyan TA, Kane RL, et al. Systematic review: effective management strategies for lactose intolerance. Annals of internal medicine. 2010;152(12):797-803. 6. Suarez FL, Savaiano D, Arbisi P, Levitt MD. Tolerance to the daily ingestion of two cups of milk by individuals claiming lactose intolerance. The American journal of clinical nutrition. 1997;65(5):1502-6. 7. Levitt MD, Furne JK, Kuskowski M, Ruddy J. Stability of human methanogenic flora over 35 years and a review of insights obtained from breath methane measurements. Clinical gastroenterology and hepatology : the official clinical practice journal of the American Gastroenterological Association. 2006;4(2):123-9.